Apartment Marketing | Apartment Internet Marketing | Social Media: Question: Are You Overwhelmed by Social Media? In Episode 2 here of The Apartment Nerd, I ask your thoughts on Social Media and where you're going with it. Enjoy. 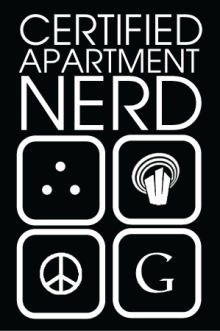 The Apartment Nerd - Episode 2 from Mark Juleen on Vimeo.